Jose Mourinho has ‘convinced’ Real Madrid ace, Gareth Bale, to make a switch to Old Trafford in the summer transfer window, according to reports in Spain. The Bale transfer saga has made headlines in almost every transfer window since the Red Devils were linked with the Welshman for the first time back in 2013, when he opted to move to Bernabeu instead of the Theatre of Dreams. Mourinho tried to sign the pacey forward last summer as well, when he was in the market searching for a world-class winger, but couldn’t finalize a concrete deal. 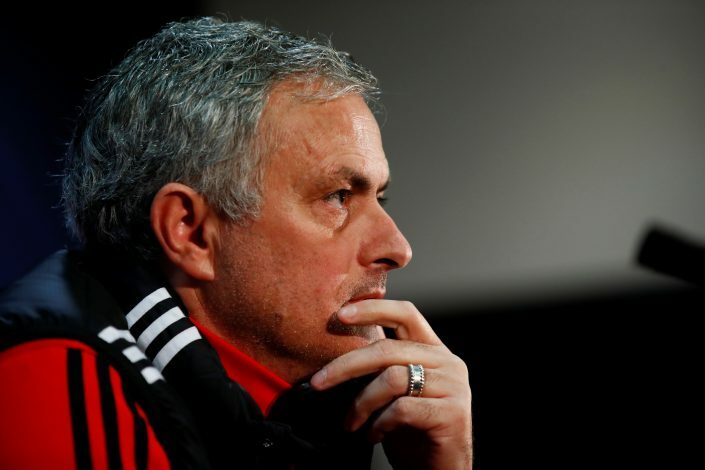 However, as per the report by Spanish outlet Diario Sport, Man United have once again decided to go after the coveted star, as the Special One looks to add more high-quality players to the club’s ranks in order to strengthen his line-up for the next campaign. It was claimed that the Portuguese tactician has ‘convinced’ Bale to join his side in the upcoming summer transfer window, as the 28-year-old has failed to settle at Real Madrid. Does This Barcelona Move Confirm Samuel Umtiti Is Joining United? However, the Wales international decided to stay put in order to give his Los Blancos’ career a final shot. But with most of his time spent off the pitch at the Bernabeu, courtesy of his long list of injuries, Bale has finally decided to part ways with Madrid. Furthermore, there’s another speculation surrounding the 28-year-old that ‘he does not want to remain at Madrid with Zinedine Zidane still there’, which seems quite true in itself because of his regular absence from some of Los Blancos’ crucial fixtures, despite being absolutely fit. Whatever the case, Bale’s relationship with Madrid looks certain to come to an end in the summer, and United appear to be favorites to cash-in on this unsettlement.